The year of 2018 is drawing to a close, and so for December what other game jam I should take part in but the 44th Ludum Dare. I decided to take part in the compo as once again I managed to have a free weekend to work on it. Before the compo commenced, I used my previous experience with game jams including the 11 previous ones I took part in this year to write a set of rules I think other aspiring game devs should follow when they work. Other devs seem to like them so I figured I’d use these rules to go over how I made my Ludum Dare 44 entry, Tank Gauntlet. These won’t be in the order I originally set them for the sake of describing the progress. I already had my tools in mind before the theme was announced, I used my SFML-based C++ engine “Vigilante“, Piskell for animated sprites, Photoshop for any bigger assets, BFXR for SFX and cgMusic with LMMS for music. A lot of which I have used before, but for audio, I feel as though I need to find more other ways to create the SFX I need without the use of a sound library, and maybe diversify my music creativity (I used Megadrive Emulation Soundfonts so there was a bit of a 16 bit vibe to the music). I’ve usually been pessimistic the themes for Ludum Dare, as you are given the opportunity to vote on them in multiple rounds but the themes I like the most do not tend to get chosen. Therefore, when the theme was announced to be “Sacrifices must be made”, it wasn’t one that I was entirely keen on, and the only idea I had jotted down was “diet simulator”. While that idea was doable, it wasn’t really that original and a simulator might have been a more laborious task. I slept on it and figured I’d do a tank combat game. To fit the theme and my “1 unique/main, 2 optional mechanics” approach, the unique mechanic would be sacrificing gameplay input for power/speed, with the two optional mechanics being shooting and melee attacks. The first thing I did Saturday morning was work on the main game, by setting up a simple tilemap and a rectangle sprite for the player. Then I made sure the player could move, jump and collide with the tilemap, and the player could wrap in all directions. After using the code I have written previously for bullets, tweaking it to my liking, and adding enemy rectangles that can spawn periodically and move at different speed and be of different sides. I had most of what I needed. I also added knife melee attacks and enemy damage before I worked on the menu that would handle input sacrifice. For the last Ludum Dare, I made a racoon sprite that had a full running animation and was heavily detailed to the best of my ability, along with a tilemap and background to resemble a temple, and it took five hours. In the end, the environment didn’t look all that great and the racoon sprite was so small that you couldn’t see the detail. This time around, I decided I wanted something simpler and easy to resemble, a tank. I loosely based the design on the StarFox Landmaster. With it being a tank, there didn’t need to be many frames. I decided to keep the sprites and tilemap monochrome, using shading and tones with around 20 shades of grey in total so I could randomize the tint to add some variety to it. The enemies were kept red, as it’s an easy way to convey them as dangerous. I found using fonts a bit more frustrating than normal, SFML doesn’t use the nearest neighbour for fonts so on a game with a low resolution (Tank Gauntlet uses 320×180), it’s difficult to use a font that isn’t too big and wouldn’t get blurry if the font size wasn’t set to a specific factor, if I found a way to implement bitmap fonts I might not have this much of an issue. On both Saturday and Sunday, I walked into the town centre to get food and other things to relax my mind and not stress over the game too much. I also tried to get some good sleep, so I didn’t stay up too late and got up at around 8-9am on each day, oh and I took showers. One of the comments I got from this rule is that it doesn’t have to apply to team-based projects, having a friend to look over the game or provide feedback is beneficial to a solo project. As such, I’d like to thank my friend Kris for putting up with me sending him screenshots and asking about ways to make the game feel better and if I’m making the game too cruel or not. I hope you find this simple process interesting, after doing 12 game jams this year I’m kind of happy this one felt mostly streamlined. There were some issues like with audio, not to mention technical issues post-submission, but I hope people find the final product enjoyable. I was going to include a final statement for 2018 as a year in review here, but with the length of this one I’m going to have to add it as an additional post. Happy New Year everyone! The game jam for August was Ludum Dare 42, so with it coming to a close, I thought it’d be good to talk about how the submission [Closing in on Pascal](https://ldjam.com/events/ludum-dare/42/closing-in-on-pascal) came about and what I learned from it. Ludum Dare 42 was particularly exciting for me, as it was the first LD in a long time that I had a completely free weekend. As such, I decided to plan the first day entirely for gameplay, with graphics and audio on the second day. That way I get a solid game and then plenty of time to work on making it look and sound nice, you’ll find out why that plan isn’t flawless as it sounds. When it came to the theme, I was already very pessimistic that it would be a theme I’d be happy with, it’s been a common trend for people to vote on the theme that no one wants. I even voted against the theme “Running Out of Space” but when it turns out to be the chosen one, I thought it was pretty good. The concept of running out of space I had was inspired by the cartoon trap of the walls closing in on someone in a temple. I figured a game where the player has to reach an exit before the room crushes them to death. Fortunately, I have a bit of experience with platformers in my game engine from a previous jam, so the tilemap, jump physics and mechanics such as wall jumping I have previously implemented. The jump animations itself was done because I remembered the indie platformer INK having good squash & stretch. To achieve it I modify the scale so that it squashes inwards when going up and stretches outward. If I had more abilities to adjust the individual vertices I could do more fun aspects of moving like skewing. Since my idea was inspired by a temple film/TV trope, I already had the visual theme in my mind. I also thought it would be good if I had a little cartoon character who’d look like Indiana Jones. It was fun working with pixel art and animation once again, but if I was to do this again I would have done a much simpler approach. The player character is way too small for the game screen, meaning that its animations are pretty much useless. I also had a bit of issue with making the colours stand out so it doesn’t feel all yellow and brown. In the end, it took around 3 – 4 hours to work on the background environments and 5 hours to work on the player sprite and all the obstacles. If I went with a much simpler design or scrapped the temple theming and used the simple colours and shapes it would have been much clearer and easier to look at. The sound and music was achieved with LMMS and BFXR. I like making NES-like chiptune in there but I do notice it’s restrictive in areas like tones and tempo, so I couldn’t get the sounds I want. It also didn’t help that thanks to the graphics, I had much less time to work on sound and music so it ended up rushed. The post-jam has most of what I would have added or done better if I had time. Particle effects, using directional keys as well as the WASD buttons, and a better title logo. I would have also worked on more levels but seeing how many levels players are willing to go through, then maybe the existing levels should have been improved slightly. I’m a little worried about what the rankings will be for this one, I’m definitely glad I could take part but I feel as though I wasted too much time on the graphics when a simpler approach would have been effective. You can go check out [Closing in on Pascal](https://ldjam.com/events/ludum-dare/42/closing-in-on-pascal). For the month of July, I decided to take part in Floppy Jam as my games jam for that month. Floppy Jam was a small jam with a novel idea, make a game that could fit on a single floppy disk with the total memory capacity of 1.44 MB. I decided to take part but there is an issue, most of my typical development environments could not make a game that small, even if I made a completely procedural game. So I decided I should make a new engine, where it has the most basic elements (graphics, sound and input) in its smallest possible code. That’s when I decided to make a games engine using the command prompt. The command prompt looks simple, there isn’t much you can output to the console and it’s typically slow, at least not fast enough for real-time smooth rendering. However, that’s if you use the standard iostream or stdio functions. The Windows library actually treats the console window like any standard window, with a handle for both input and output, as well as a screen buffer. It is possible to resize the window by shrinking the screen buffer to the smallest possible size, before scaling it up to the size you want. Frustratingly you cannot set the console to any size you want, as there appears to be a restriction that the size cannot be larger than 800×600 pixels. For the game, I ended up using 108×60 characters to make the game the largest widescreen resolution. You can also set the font and the font size, the window title and window position as well, which is enough customization you need even if it’s not possible to get fullscreen or “high resolution”. Input can be read from the input handler, including focus, mouse and keyboard events. You can also use GetKeyAsyncKeyState() to get real-time input handling. Mouse positions can only be accessed from the input handler. As mentioned earlier, using standard text input/output isn’t fast enough for real-time rendering, it’s also rather limiting. What we need is a way to render a full array of characters to the console screen, so how do we do that? And how do we display colour? Well, the best way deals with both birds with one stone, WriteConsoleOutput(). This function writes a full set of characters to the console, but you do not input strings, but a special Character format that allows you to set either ANSI or Unicode Characters, as well as what foreground and background colours for that element in the array. Command Prompts (as well as most pre-installed terminals) give you a maximum of 16 foreground and background colours each, although with the right character sets and other tricks you could create more colours. Once you have set up an array, you just call WriteConsoleOutput, using your console output handler, the array, the size of the array in width and height as well as the area you wish to draw to. A lot of this info I first discovered from the One Lone Coder through his ConsoleGameEngine tutorial series, as well as a header-only roguelike engine called rlutil. ///Drawing the full buffer screen array to the console. ///Clearing the buffer is as simple as setting all the elements to 0. For timekeeping, an easy way to get efficient time tracking would be to use the standard library chrono. However, to avoid overhead and allow support with older systems, I needed a more specialised solution. Fortunately, I remembered a Windows-specific method of timekeeping from a video by a game developer going by the name TheCherno. While in more recent videos he recommends newcomers to use chrono, in a C++ game engine tutorial he used QueryPerformance functions. Essentially, you call QueryPerformanceCounter(), which will return you a timestamp accurate to the nearest microsecond of the PC’s performance counter. You can get the timestamp from the start of your loop, and another at the end to work out the total time to process a loop. While it is platform specific, because it’s part of the Windows API there is little overhead, and it’s extremely accurate. Finally, for sound, I only wanted the simplest implementation I could find. All I needed was the ability to load Wav and Ogg files, and play them in parallel. Fortunately, that is possible with a single library and a header file. Randy Gaul developed a large collection of self-contained systems, each could be used with a single header. This included cute_sound, which does exactly what I wanted. It does have some minor faults such as crashing if you tried to delay a sound, and needs a significant updated to be friendly with modern compilers because of how it uses goto statements, and unfortunately because of how the Vorbis library works you cannot make it header only, but it’s not complex. The engine’s structure is that the user simply defines preprocessors for constant values, and includes a single header to get the engine’s full functionalities. All they need to do is to set up a function for handling updates and rendering (if they want to use real-time functioning) or event handling, and then call a function called run to start the engine. Keeping it like this basically means it’s possible to create tiny demos and games with whatever external tools they want. When the jam actually started (yes I built a two-header library about a week before the jam began), I wrote basic state management system for the two scenes I wanted (title and game), as well as renderable objects. Each interactable object used a game object struct that had basic physics for movement and collision checks. The pinball environment was achieved by assigning each wall an ID, and that ID also corresponded with the angle of the slope as well as how it appeared. While most other game objects were defined as sprites, an overridden game object that has an array to represent a single static image, the flippers was a special sprite that manipulated that array based on how long a button was held down for. It also had special collision responses based on what stage the flippers were in, which proved a challenge when sprites could easily go through them. What made working on this engine quite exciting was it really encouraged you to work with proper limitations. Unlike pico-8, where the limitations are hard-coded into the engine and its fantasy console, the command prompt had a small resolution and a limited colour palette purely because it was not intended for real-time rendering and gameplay, and the 1.44MB meant I had to think outside the box to find ways not to use too much memory, although, in the end, PEWBALL was under 400KB (possibly smaller still if I could get a compress heavy linker like crinkler to work). One way to optimise was to replace having a particle emitter with particle objects with the rand() function and lots of basic maths to work out where particles would be over time. This technique was used for the starfield at the beginning as well as the explosions enemies and the player has in the game. Guns used a simple fixed sized array as an object pooling system, a similar one was also used for the enemies, which had their own struct that could be overridden for unique behaviour. Ogg files were compressed to their lowest quality, which gives them a small file size as well as gives a slightly distorted retro feel, helped by the 8-bit inspired music and sound effects that I used. While I could have carried on development up to the deadline on August 10th, I needed to get a game finished for July, so I decided to stop on July 31st and submit it, announcing it’s release on August 1st. Little did I know, there was also a voting session that went on for a while. Out of the 25 submissions managed to achieve 7th, and the overall winners were Floppy Bug (In Quality and Design) and Crates in a Crate (in Gameplay). I’m pretty happy with where I placed considering the challenge I had in creating an entire engine, although I’m definitely impressed with Floppy Bug because the team behind it decided to one-up me and create a full 3D OpenGL engine in two weeks that took up 440KB. Evening #IndieDevHour! How's everyone doing? Regardless, this one was a rather fun challenge. It kind of makes me want to look into development for other primitive systems, maybe I could try developing for an old console next, who knows? As for Linux, that might not be as possible as I hoped it would be. The problem with Linux Terminals is that they don’t have the same level of control as the Windows Command Prompt. It is possible to do things like resizing the terminal window, draw characters at certain positions and set the colours of characters using ANSI escape sequence strings, however, it isn’t as stable as I once thought, and there isn’t much documentation on getting it to work. If you want to check out the engine itself, it’s called KitConsole and can be found on Github, and you can check out PEWBALL on Itch.io. So June is almost over, and right now I’m writing as SGDQ is going on, but in the few weeks prior I was working on a game for my game-jam of June. 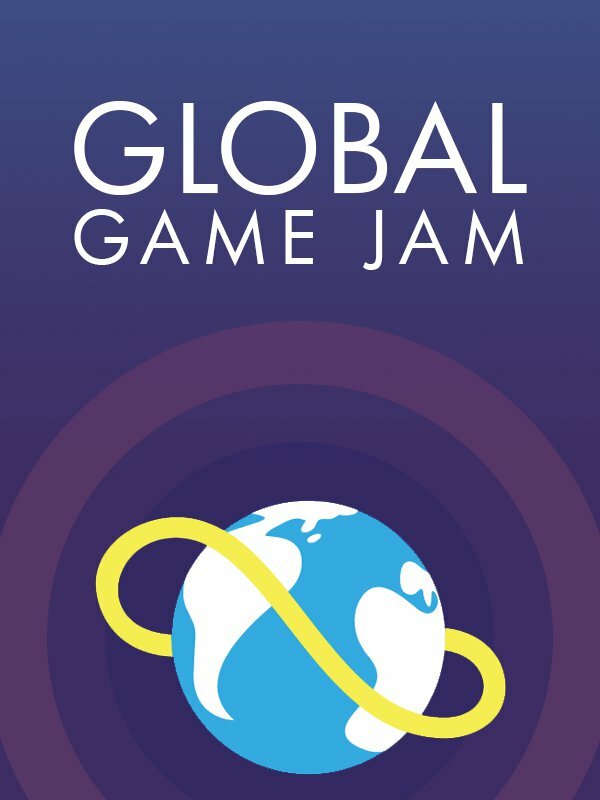 The game jam for this month is Wizard Jam, the seventh jam organised for the Idle Thumbs website and podcast. This was a jam that was fairly relaxed in comparison to most I take part in, being more than two weeks, with a very open themed convention. Instead of a singular theme, your theme is to choose from one of the many episode titles of the Idle Thumbs podcasts, which did take a while for me to pick, but I decided to choose one based on a little experimental project I was working on. After being inspired from GDC earlier this year, I started work on a simple facial animation system to be used in the feature of a game. It used SFML’s primitive rendering system with interpolation and managed to get it to speak based on a simple string input. Wizard Jam gave me the opportunity to utilise it in a game with the theme “Read Our Lips” to test how effective it is. The concept was a game where you were given quotes that are incomplete and corrupted, and your goal is to complete them based on your interpretation. The player had a short amount of time to enter their guess before being shown the next one. I went with giving the game a basic layout of an office, with a futuristic computer screen for the input and a faulty old looking monitor for the broken quotes. Thanks to SFML’s sf::Event::TextEntered, it’s incredibly easy to handle text input. It took less than a day to get the concept done, and an additional two days to get the initial layout done. Evening #IndieDevHour! How has your week been? While I did take one day out to play around with the sfeMovie library, I spent most of the time polishing the existing game concept, improving the visuals and adding sound. I added camera movement so the text would be easier to see for a short amount of time. I updated the backgrounds so I could give a bit of a parallax effect. The monitor was updated to use a lot of shaders, the title screen used the same amount of shaders. The main distortion shader was felixturner’s bad-tv-shader, combined with a fish-eye lens and scanline effect. I originally included a noise shader (as you can see in the previous tweet) but I found that darkened the colours so instead replaced it with the bloom shader that I’ve used in Berzerkatron and Gemstone Keeper. Finally, after some feedback, I added a simple chromatic aberration effect by offsetting the colour channels. It appeared to create an old and broken monitor effect that seemed to get some good impressions from people I showed it off on Discord servers. There is no music for this game, just sound effects and ambient noise. Most of them were sourced from soniss’ GDC audio libraries, with some additional royalty free sounds for TVs and crowds. The name was kind of inspired by l33t speak, as I wanted to summarise the concept of the game (restoration/recreation) with the distortion you deal with. The gameplay flow of having two minutes to guess as many quotes correctly was actually the last moment idea, originally you had to guess five random quotes with fifteen seconds each, but I felt that made the game too short for anyone finding it easy. One game dev on the Birmingham Indie Dev Discord suggested also making each quote progressively harder to start, but each would slowly become easier over a period of time. That way the game starts easy but gets difficult, but the currently displayed quote will slowly fix itself if you let it wait. I was hoping to polish up the game a bit more over the weekend, but I went out to a party that unfortunately ended with the theft of one of my bags. While nothing game dev related was stolen, an expensive costume that I wear for public events was taken and it’s been reported to the authorities, although that didn’t stop the moment from dropping my emotional and motivational drive. I did get some last finishing touches done and missed the deadline by a few seconds, however the host was able to add Re(re4ti0n to the jam submission list the following morning. You can play Re(re4ti0n by clicking the above image or right here. I hope things are going well with all those who read this, whether it be while hard at work or relaxing while browsing their social media. Since GDC 2018 happened, it took a while to adjust me back to a work routine. It didn’t help that the week after I returned to the UK I was off to Bristol celebrating a four-day weekend with friends and family for my birthday. Fortunately, with my day job going on, I have managed to recover from jetlag and get back into a coding routine with some bumpy roads. I figured it’d be good to detail what went on up to now. The Games Jam for March was the Seven Day Roguelike (or 7DRL for short). This is a long-running one-week games jam dedicated to the roguelike genre. This year was the first year they hosted the jam on itch.io, instead of the Roguetemple forums and other hosting services that had since gone defunct. The first time I took part in 7DRL was in 2016 with Dungeon Racer, while I was glad to get a game done using my engine for the first time since Gemstone Keeper’s early demos, in hindsight the concept was a bit too out of reach for me without preparation. This time I decided to do a bit more of a simple roguelike. RDDL (pronounced Riddle) was originally going to be a dungeon based roguelike in the style of the Crystal Maze, where the player would have to find a key in each room to progress. Health would decrease over time and the only way to regain health was to either find it through treasure or defeat enemies. I used the GenLevelTools like I did previously, however, I noticed how lacking some of the features are (particularly with tilemap generation). I ended up using the tile mapping system for this, which worked well with the tilesets made for Dwarf Fortress. I had considered adding the ability to change tilesets like I did previously with Dungeon Racer but I ran out of time. I also got to take advantage of GL-Transitions again with a cool grid flipping transition, people on the roguelikes Discord liked it so I took full advantage of it. Overall it’s great to get a proper working roguelike, especially one that people would undisputely call a roguelike unlike my previous games. As of writing, voting has just ended on all entries, so you can check out how well it did on itch.io. Feel free to check out all the other entries too! As March 31st of this year is the one-year anniversary of the release of Gemstone Keeper on Steam, I figured it was a good idea on Twitter to talk about how it’s done and what I should learn from it. You can check out the start of the thread below. I was inspired by Eniko of Kitsune Games to do this, after a tweet she posted on how stressful being an indie developer was. I feel it’s necessary to let people know that despite the success stories, a lot of stories aren’t as impressive. I still maintain that Gemstone Keeper’s response was positive, considering the circumstances, and I still appreciate the support and feedback people give. So on Thursday 5th April, I was reading an article on my main game development and home desktop machine when suddenly I got a Blue Screen of Death. I initially thought this was typical, at least until the machine restarted and would go to a blank screen. I tried restarting again and the same blank screen appeared. 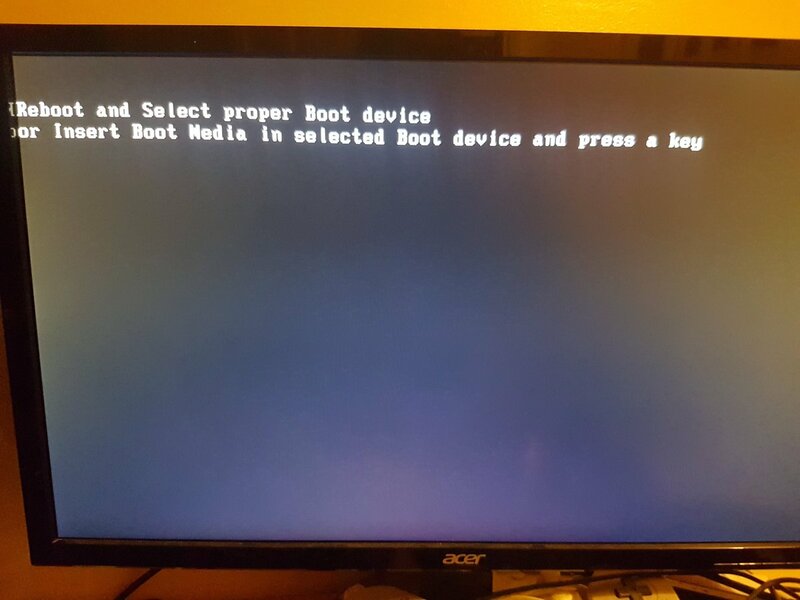 I checked the bios and the hard drive looked fine, but the same blank screen. Then after taking out all other drives, I tried again and this time it says that there are no bootable drives found… this doesn’t sound good. After a few diagnostics and checking the hardware with the help of some friends, we’ve come to the conclusion that while the hard drive is fine, something happened when the BSOD hit that caused the Windows OS to come corrupted. The good news is that nothing has been lost. All of my game development work as well as personal files and other, less relevent, projects have all been backed up on either external HDs or online cloud services (meaning that after my last major technical mishap over three years ago, I’ve definitely learned from my mistakes). Not to mention that while I cannot boot into Windows, I am still able to access the HDD using a bootable Linux drive, so anything on it is still salvageable. As a result of this incident, it’s been decided that it’ll be better to upgrade components of the desktop instead of trying to repair it. The current HDD is a little over six years old, so even if I managed to fix Windows then who knows when the drive completely dies. Plus with more modern components, I can take advantages of any addition performance of say, an SSD for the OS and a HDD for data as opposed to a HDD for everything else. Hope that clears up everything. Just like to make two short announcements, I’ve began on a new project, development will continue once the upgrades have been finished sometime this week. The next games jam I’ll take part in for April will be Ludum Dare 41.